The danger with “cola” flavored booze is that part of what makes soda amazing is the little bit of carbonation you get to get that sparkle. You remove that sparkle, and you’ve got a horrible, syrupy mess of crap. So therein lies the challenge of cola liqueurs. How do you avoid that heavy flavor? 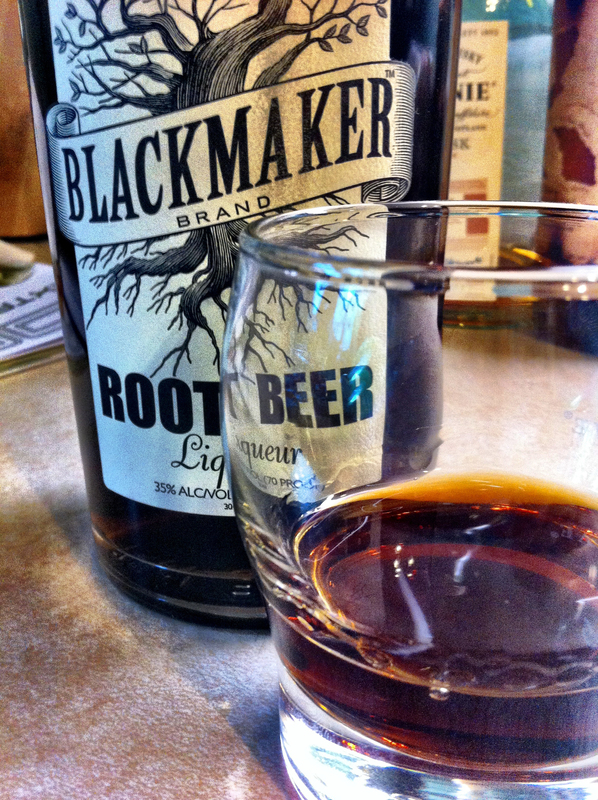 Blackmaker Root Beer Liqueur somehow manages to avoid that trap. 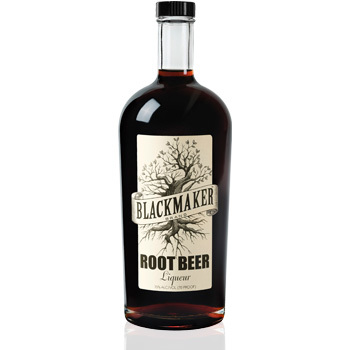 Blackmaker Root Beer Liqueur (70 proof) is a combination of wintergreen, nutmeg, cinnamon, cloves, ginger, anise and sweet birch creating a perfect authentic root beer flavor. Smooth and delicious this one of a kind liqueur is best served on the rocks or mixed into your favorite cocktail. Clear, head-on root beer scent. No alcohol burn on the end of the whiff. Clear notes of the wintergreen, anise and a little bit of vanilla. Strong root beer flavor, but doesn’t taste like root beer syrup. Chalk a couple points up to Blackmaker for that. Neat, it coats the tongue with a warming flavor. Smoother, as would be expected, tempered by the cooler temps. There is a strong vanilla flavor, reminiscent of a spiced rum, actually. Reminds us of root beer/sarsaparilla hard candies. Very, very distinct flavor, so you’ll want to be careful how you mix it. Delicious, if you like root beer. If you don’t like root beer, steer clear. Good thing we like root beer. Well, Mark does at least.